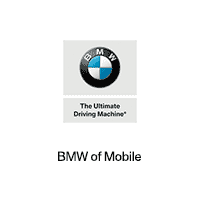 At the recent Los Angeles Auto Show, BMW presented the electric vehicles that represent the initial steps in the company’s ongoing commitment to delivering 25 electrified vehicles to market by the year 2025. The company also presented show-goers with the global debut of the new special edition BMW M3 C S.
The BMW i3s, which offers more power than its compact i3 sibling, features an electric motor that generates 184 horsepower and 199 pound-feet of torque and can hit an all-electric top speed of 100 mph and hand in a 0-60 mph time of 6.8 seconds. The all-electric, emission-free BMW i Vision Dynamics four-door Gran Coupe showcased in LA manages a 0-60 mph time of 4.0 seconds and a top speed of 120 mph, and offers an electric driving range of 373 miles. Not only did LA Auto Show attendees get to see the world premiere of the M3 C S, but they also enjoyed appearances by the BMW X7 iPerformance Concept, 6 Series Gran Tourismo, BMW 8 Series Concept and the BMW M5 vehicles. Our showroom at 3025 Government Boulevard in Mobile proudly serves drivers from the Saraland, Fairhope, Daphne and New Orleans areas.